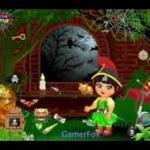 Dora Pirate Treasure Finding is an other game on friv4school.me. Dora Pirate Treasure Finding: Dora is a pirate, and she is so excited because she discovers a map and have a chance to find out secret treasure. Help Dora find the stolen treasures by collecting as many jewels, coins, and cupcakes as you can!